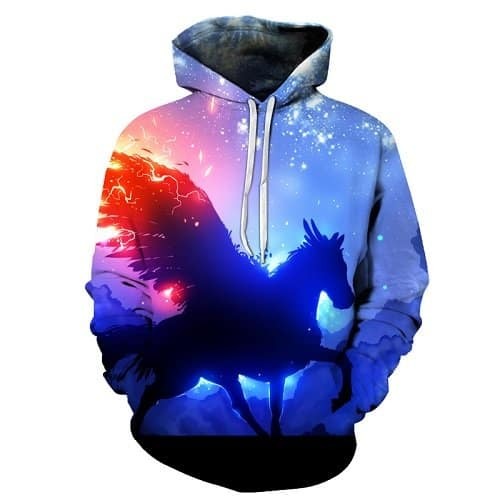 A galaxy peagsus hoodie, inspired by the majestic unicorn creature. 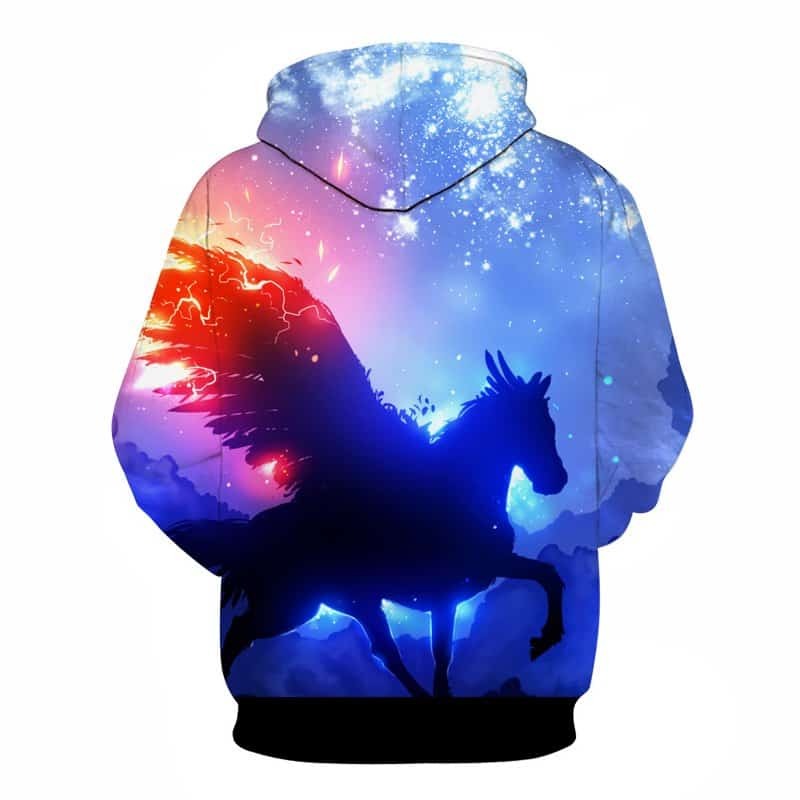 A truly fantasy hoodie, featuring a unicorn with huge wings running through the galaxy. This print is truly a masterpiece. The hoodie is comfortable to wear, looks fashionable and is wearable anywhere. It was designed for both male and female. Nice quality shirt, for certain a polyester sublimation, no fleece. Runs true to size, if not slightly larger. I ordered larger as I knew it would probably run small. lol Well it swallows her but she is happy.